With the CEO of HTC, Peter Chou, chanting "M7, M7" during HTC's year-end party that was held last week, it would seem a sure thing to predict that the Taiwan based manufacturer would officially name its next flagship phone the HTC M7. But when @evleaks says that the device will be called the HTC One, we have to listen as the serial leaker has a pretty remarkable track record. The phone is expected to be introduced on February 19th at HTC's press event. Rumored to have a 4.7 inch FHD screen, the HTC One will have an industry leading 468ppi pixel density. If this turns out to be legitimate, is this a good marketing strategy for HTC? The HTC One X and the HTC One X+ never really cut into Samsung's market share and HTC was eclipsed by upstart Chinese OEM's Huawei, ZTE and Lenovo. The HTC DROID DNA/HTC Butterfly seemed to be an indication that things were finally turning in the right direction for HTC. 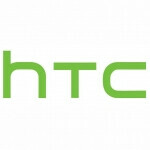 The HTC M7 was going to continue the company's turnaround and it still might, although it will be known as the HTC One. Will the name bring back memories of the previous HTC One models, or will the seemingly superb specs let the phone do all of the talking? I agree with this. What is going on at HTC...? So the M7 (HTC One) successor will the HTC One 2? Then the HTC One 3? Oh great. The M7 should be the "HTC Two"! Not "HTC One"... If they will name it HTC One, they should at least call it "HTC One: Director's Cut"
But...they... Cheered "HTC M7"...and I joined them. Will this phone be the "one?" No, Neo is the one and not that Super Magnetic one either. They probably gonna use any letter (Like the X, S and V) or cool name after the "One". Like "HTC One M7" or "HTC One Dragonfly". I usually think that building traditions is a good marketing strategy. It makes products memorable. The One series may have not had the anticipated commercial success but it also didn't suffer from bad reputation, so why not? Better than M7, thats for sure But if they want to create a legacy and brand, I don't understand why they don't go by alphabet here. One B would be fine. Or One X 2. I agree with your earlier post. Just going by how other things are named....ppl might think this is older than the One X. Then the One 3.. geez..
how is that any different than the gs2, gs3, and most likely the gs4?